If there is one hotel that it took us far too long to visit in Malaysia it’s the Lexis Hibiscus PD. In fact, it was not until our fifth visit to Port Dickson that we finally stayed at the Lexis Hibiscus. It had been on our dream list for awhile. With over water villas complete with their own infinity pools, how could it not be?! But then we loved the Avillion and Grand Lexis so much that it was hard to look elsewhere. The hotel Lexis Hibiscus Port Dickson is BIG! So we made the big move and booked a trip to the Hibiscus. Are we glad we did? 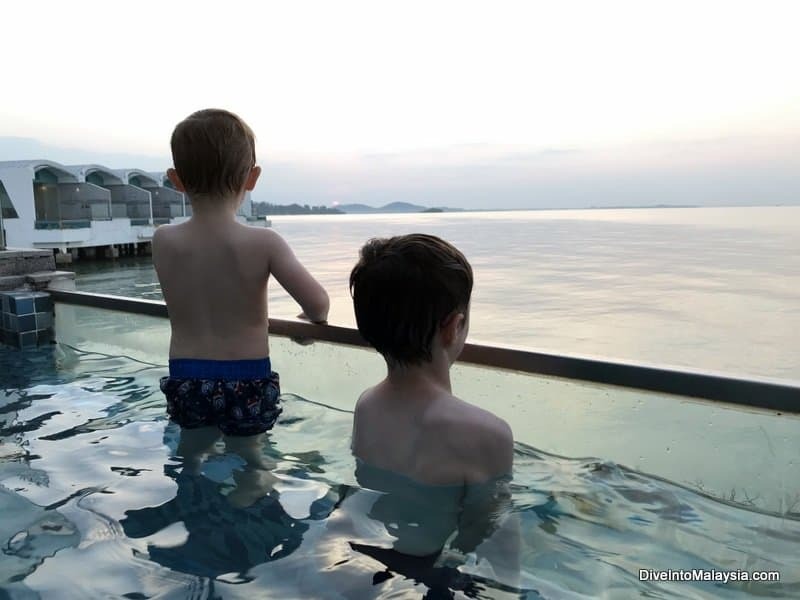 In this Lexis Hibiscus Port Dickson blog, I give you our full Port Dickson Lexis Hibiscus review after visiting here with our three kids aged 2, 7 and 8. 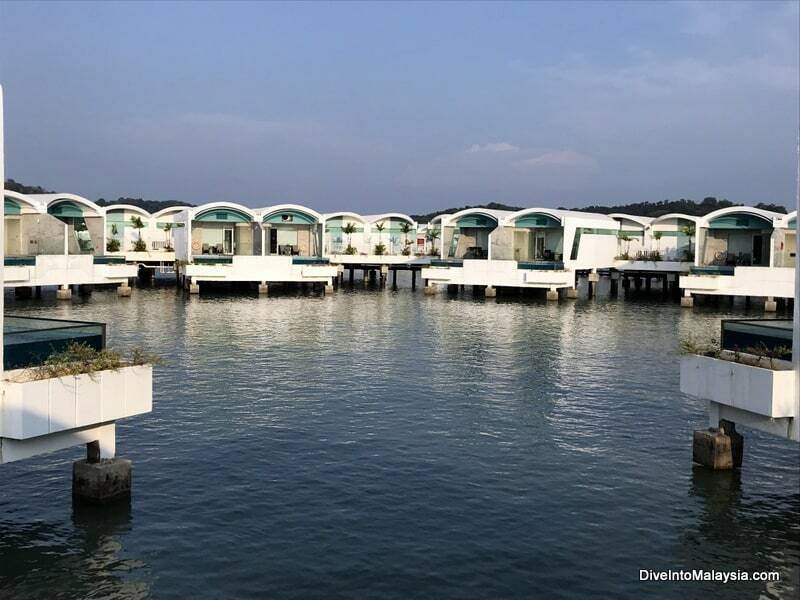 However, here’s a hint about what’s to come – don’t read this Lexis Hibiscus Port Dickson review UNLESS you are happy to book a trip there soon. It’s brilliant! The Lexis Hibiscus Port Dickson hotel is located in the southern part of Port Dickson near Blue Lagoon and Cape Rachado. There are details below for how to get here. 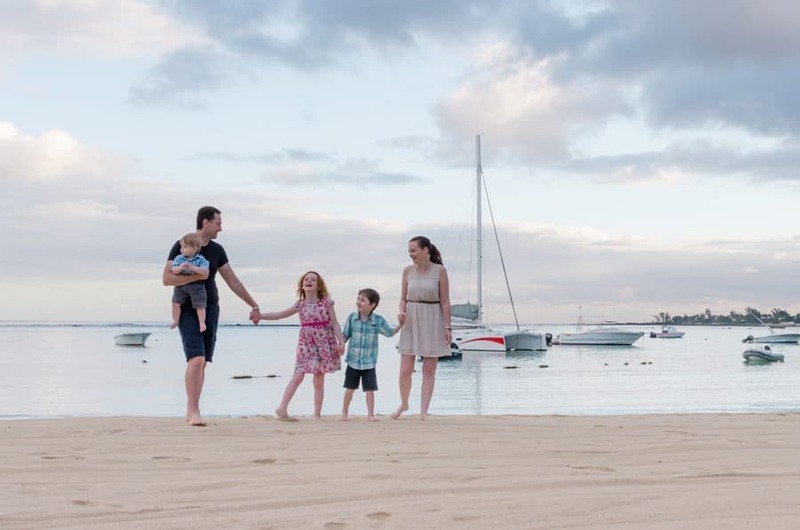 However, there is so much to do at the Lexis Hibiscus you really don’t need to leave unless you want to. The over-water villas with private pools are just AWESOME! We had the perfect introduction to the Lexis Hibiscus on our visit – with our flight passing overhead on our way to Kuala Lumpur International Airport. It’s very cool seeing the hibiscus shape the rooms make from the air and much bigger than the photo above makes it seem. 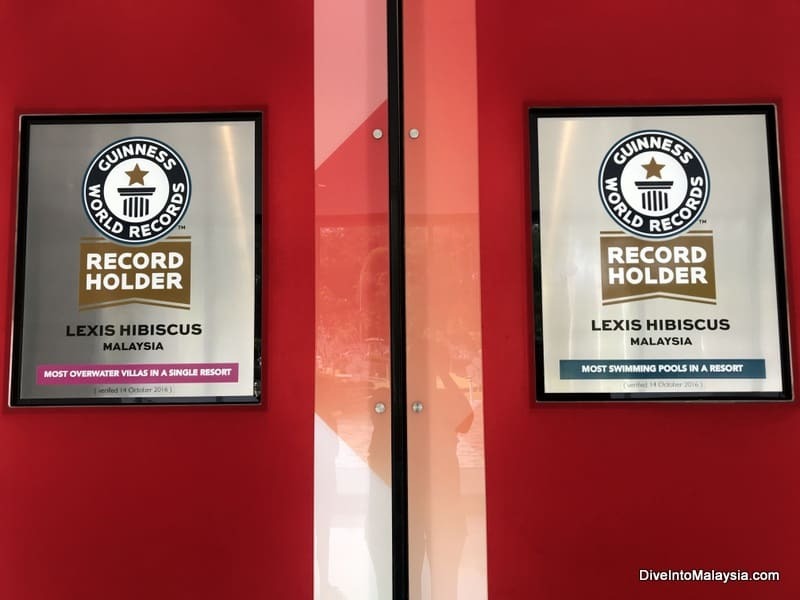 In fact, the Lexis Hibiscus has two Guinness World Records! The Lexis Hibiscus is the Guiness World Record Holder for having the most overwater villas and most swimming pools! This introduction only improved when we arrived at the resort to a warm welcome and excellent check in staff. We were given vouchers (including for a free welcome drink) and a bag of drinks and snacks. It was very impressive. We were soon off in a buggy to our villa. You can watch part of the journey below! There are many options for a Lexis Hibiscus Port Dickson room type. There are choices on land and on the water. I think it’s hard to go past staying in an over-water villa though and this hotel has many of them. We stayed in a Lexis Hibiscus Port Dickson premium pool villa sea view which means it’s a premium pool villa that is more private with a full sea view instead of pointing towards the resort, walkways or other villas. If you would prefer to stay on land, a Lexis Hibiscus sky pool villa is popular. The rooms are much the same standard as our room below. You aren’t over the water but you still have a private pool and outdoor area and have the benefit of great views over the resort and a more convenient location. We were very, very, very happy with our Lexis Hibiscus premium pool villa sea view. These room types are located on the outside of the petals pointing out to the ocean so they have more privacy than other premium pool villas. And, of course, they have their own private pools. This Lexis Hibiscus room type is nice and spacious. The room starts with the bedroom area. There are two king-sized beds, including two seats at the end of them – these bench seats are big enough that one of my kids actually slept on it! There is also a desk area, mini-fridge and big LCD TV. Everything is well presented and the beds are very comfortable with great linen. Next to the bedroom are glass doors (with great curtains) to a large bathroom/dressing area. This is where you find cupboards, gowns, slippers, a safe, shower and toilet. There are many included toiletries and we had six towels – some for outside and some for inside. In this area, there is also a glass panel looking down into the water below. Then there is the pride and joy of the room – the outside area with private pool! The pool is just fabulous. It’s an infinity pool pointing out to the water and our sea view villa meant we had full ocean views. Although note that when standing in the front half of the pool, we could see out to other villas so the whole area isn’t 100% private. The pool is a good size and bigger than it looks in photos. At 1.2 metres depth, it’s a good depth as well. To the side is a sauna which was bigger than it looks in photos and videos too. We could all fit in there and enjoyed it a lot. Something that struck me straight away was how quite the room and outdoor area are. And they remained that way for the duration of our stay except for the occasional swishing sound of the buggy going past. The whole villa from inside to outside is a great size, comfortable, well presented and fun! We stayed here with a family of five and there was plenty of space. We loved it all! If you are wondering what to do in Lexis Hibiscus Port Dickson, you don’t have to worry. There are a crazy amount of things to do at the Lexis Hibiscus Port Dickson. Honestly, the list goes on and on! I will do my best to list everything I could find here! Inside the Lexis Hibiscus resort main building, there is the Lexis Hibiscus spa, karaoke lounge and Kidz World playcentre on the second floor. Kidz World is big and well set up with lots of areas for kids to play. All three of my kids thought it was awesome! If you kid is over 4, you can leave them here but otherwise you need to supervise. It’s multi level with lots of areas. This is a paid activity and there are also additional activities you can pay for while you are there. Outside of Kidz World, there is also a small track where kids can race around in police cars and other small options. 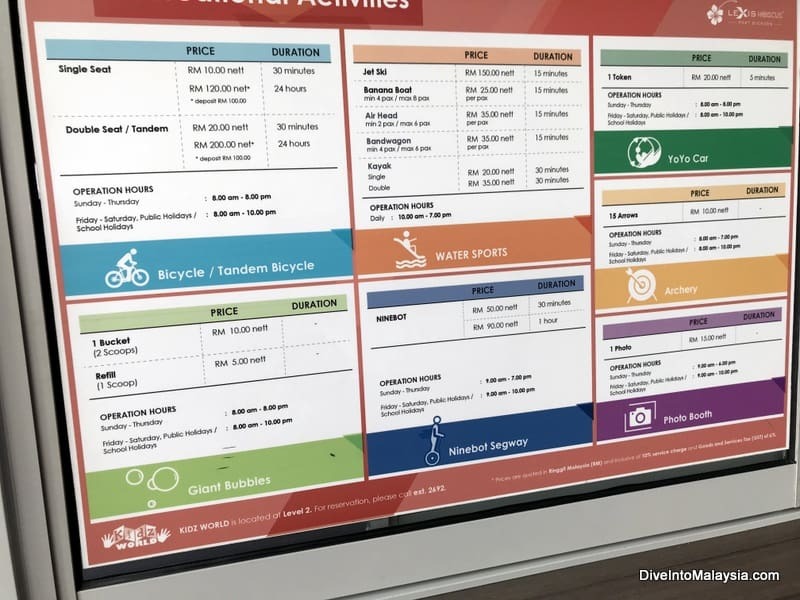 On the ground floor are more Lexis Hibiscus activities including a gym and sauna and a small games room with some fun games as well as Virtual Reality games. There is also a “photo booth” where you can pose for photos with a choice of backgrounds. There is a shop where you can choose from a few snack and drink options and souvenirs. I couldn’t resist one of the Lexis Hibiscus puzzles! Just outside there are even more activity options! From here, you can hire a bicycle, tandem bicycle, yoyo car, segway and more. I have included a price list just below. There is also archery and a small petting zoo when we visited and a boat you can go out on. For the ultimate experience, you can take a short helicopter ride on weekends to see the resort in all its glory. The Lexis Hibiscus price for a helicopter ride was RM195 when we visited so it may be the cheapest helicopter ride I have come across. I would have done it had it been the weekend! Of course, there is also a pool area. There are two hotel pools although I never saw anyone in them. The private pools are too good! There is a kids playground by them as well as a pool bar. The next stop for activities is the Hibiscus Walk. This area is open to the public so you can visit even if you aren’t a Port Dickson Lexis Hibiscus hotel guest. This is where you can find the Lexis Hibiscus Port Dickson beach. It’s nice and sandy (with imported sand) and many lounge chairs. They were working on it when we were there so I think it will be better soon. It’s on the small side but we basically had it to ourselves anyway. By the sand is a hawker centre with a range of stalls selling a whole range of food when it is all open. We ate there on a Monday lunch and there was seemingly only one food store open selling only a few dishes. It was disappointing. It was nice to be able to eat right on the beach and I imagine on the weekend, it is probably all open and a great place to sit and enjoy. There are a range of activities in this area besides beach lounging and eating! In the sea, you can kayak, jet ski, go on a banana boat or more. Finally, there is JPark, the water park. This consists of a range of inflatables both in the sea and on land where you will get wet. During our visit, they unfortunately only had the land part available but guests did get to use this for free for 20 minutes (usually you pay per hour or day for the water park). The beach part was a huge inflatable slide, a mini slide and two pools with water where you could float on objects, pedal a little boat or run around in a mouse wheel. Our kids thought it was lots of fun. Generally, there would also be big inflatables in the sea where you can climb and jump around and go down slides or run around in inflatable balls. Just about every activity or attraction I mention here costs an extra fee and these definitely add up if you want to do a few things or you are a family. It’s a shame more isn’t included for hotel guests or isn’t more affordable or there isn’t a family pass or something. An example, is RM28 per person (including kids) for the petting zoo. So for us, it would cost RM112 (under 4’s are free) for a tiny little area which is crazy especially compared to the Avillion where it is free. This is my biggest gripe that I found in our review Lexis Hibiscus Port Dickson. Although I can also understand it as there weren’t many people around when we stayed and there was a lot of staff to man all these activities. There are buggies to get from the main resort building to rooms over the water. Getting one to the room never took long but signs in our villa said that it takes about 45 minutes to get one back to the resort building so we always walked back. The resort is BIG so this does get tiring in the heat. There are not just many activities at the Lexis Hibiscus Port Dickson resort hotel but also many eating and drinking options. I don’t think I have ever stayed anywhere with so many choices! 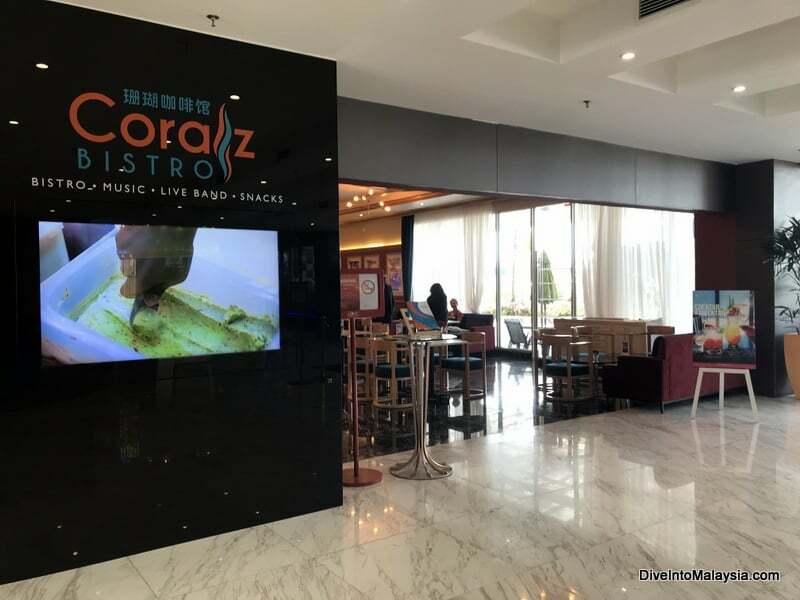 There are a range of restaurants, café, lounges and bars in the main resort building as well as in the lighthouse which is a four-storey building in the centre of the Hibiscus. Each floor in this building is a different eating or drinking option. We loved having pre-dinner drinks on the top floor Lighthouse Bar and having views over the resort. In the main building, there are a few options including a Japanese restaurant. There’s also a handy cafe on the ground floor where we had our free welcome drinks but you could also get snacks and other beverages. The cakes look really good! There’s also the hawker centre on the Hibiscus Walk. Like mentioned in our Lexis Hibiscus Port Dickson review blog above, it wasn’t the best experience for us but it did look it would be awesome had it all been open. It would be great if they could also put up signs to tell you exactly what you could have and what is open for times when not everything is available. Our room rate did not include the Lexis Hibiscus breakfast but this is buffet style and meant to be great. We ordered room service breakfast instead which was a great price for a ton of food (RM28 for the continental and we only needed two for the five of us). It took about an hour though and no one was even able to update us on what was going on when we rung to see what was happening. If you are wondering how to go to Lexis Hibiscus Port Dickson, it is quite straightforward. One of the best parts of visiting the Port Dickson Lexis Hibiscus resort is definitely how accessible it is. It’s a short and easy drive from Kuala Lumpur, Melaka or Kuala Lumpur International Airport and you can drive yourself or take a taxi. If you are taking public transport from Kuala Lumpur, you will need to go via Seremban. You can read more about all the ways to travel from Kuala Lumpur (the city or airport) to Port Dickson here. From Singapore to Lexis Hibiscus Port Dickson is also straightforward. You can drive yourself or this a convenient shuttle bus that drops you right at the Lexis Hibiscus. Click here for more details and to see the latest prices. You can also read full details about getting from Singapore to Port Dickson here. Overall, we loved staying at the Lexis Hibiscus and we will 100% be back. The villas and private pools are just so good and I would love to stay in one again. However, I don’t think the resort deserves its 5-star rating. While there certainly isn’t a lack of facilities and services and everything is well presented, the service just wasn’t 5-star service except on check in. The long wait for room service and the confusion at the hawker centre with barely anything available meant that most of our meals on our first day were a bit of a disaster which is not what I would expect from a 5-star hotel. Our room also could have been cleaned better – we were left with a very sticky floor after our kid spilled apple juice that wasn’t fixed. I also think a 5-star hotel shouldn’t say you will be waiting 45-minutes for a buggy back to the main hotel especially when you need to get to a flight, have three kids and all your bags. We didn’t want to take the risk so walked back. I would judge the villas 5-star standard though and the problems I mention are more small annoyances that are worth it for everything else. In fact, I don’t think I would have thought about these issues again if I hadn’t been writing this review. We had such an enjoyable stay that I hate saying anything negative. We really loved it! I also think the Lexis Hibiscus Port Dickson price represents very good value. We paid about RM800 a night for our room which is an amazing price for all of this for five of us especially as we paid for a better room type. The pool villas can’t be beat and there are a crazy amount of facilities, restaurants and services. Overall, it’s a fabulous resort and I’ll happily come back here as often as I can. It worked really well for our family and we had some really quality family time. The resort is also right next to Pantai Cermin and a short drive to Blue Lagoon and Cape Rachado which is a lovely spot. In fact, it would be walkable to Blue Lagoon if it wasn’t for the heat (more info on things to do in Port Dickson here). If you are wondering how it compares to the Grand Lexis Port Dickson, I prefer the Hibiscus. The pool villas are fabulous in both but I love the pool looking out to the water like you have at the Hibiscus. There are also far more facilities at the Hibiscus so it wins on every front for me. I hope you found this Lexis Hibiscus blog useful. 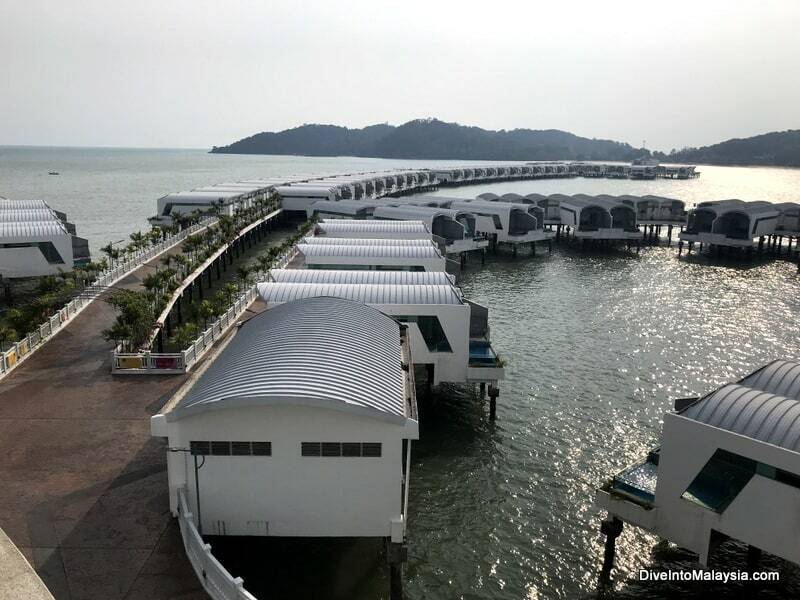 If you are looking for more Port Dickson option, read our list of the best Port Dickson hotels here.